City council is now scheduled to only hold a regular meeting every other week. In the mean time they are holding special city council meetings. Are they hoping that we won’t notice or that it will be inconvenient to attend? 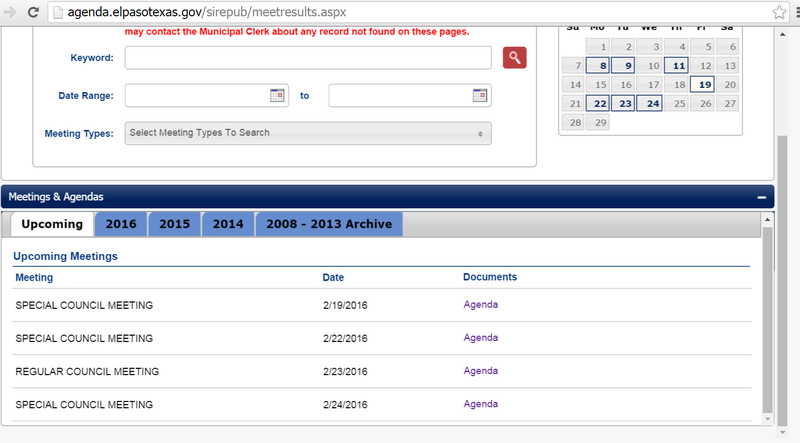 This entry was posted on Sunday, February 28th, 2016 at 5:00 AM and is filed under City government. You can follow any responses to this entry through the RSS 2.0 feed. You can leave a response, or trackback from your own site. They have to find a way to protect the guilty, slimy and corrupt. What about all of their closed door “Executive Sessions?” Isn’t that just a tad worrisome, as well? Yep they are making it as inconvenient for the people as possible which is a violation of at least the spirit of open meetings laws. They are screwing up so bad hiding this fact is all they have left.